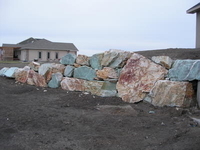 An intense, aqua/turquoise color make these boulders some of most interesting that we offer. 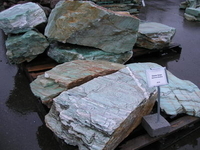 They can be used as specimens, benches, statuary pedestals, walls, waterfall elements or ? 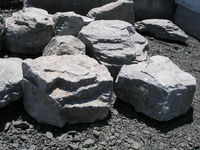 Again, use your imagination with this stone.